Size 6/0 There are 6 products. 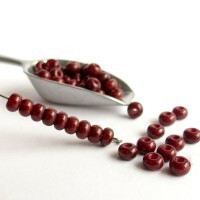 Czech Seed Beads made by Preciosa. Color - Black with Picasso coating. Size: 6/0 (4.1mm). 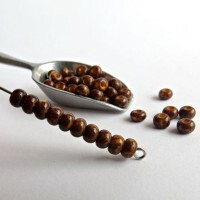 There are about 6 beads in 1 inch. There are about 260 beads in a pack. 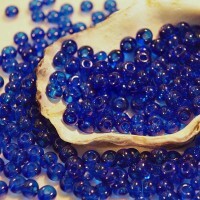 Czech Seed Beads Opaque Cobalt Blue by Preciosa Ornela. Czech Seed Beads made by Preciosa. Color - Brown with Picasso coating. Size: 6/0 (4.1mm). There are about 6 beads in 1 inch. There are about 260 beads in a pack. 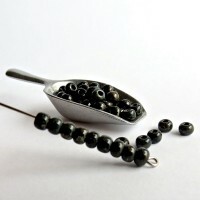 Czech Seed Beads made by Preciosa. Color - Red with Picasso coating. Size: 6/0 (4.1mm). There are about 6 beads in 1 inch. There are about 260 beads in a pack. Mix of picasso Czech Seed Beads made by Preciosa. There are shades of green colors in this mix. Size: 6/0 (4.1mm). 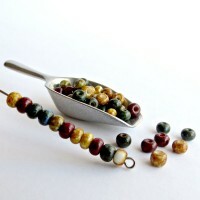 There are about 6 beads in 1 inch. There are about 260 beads in a pack. Mix of picasso Czech Seed Beads made by Preciosa. There are shades of blue, red and beige colors this mix. Size: 6/0 (4.1mm). There are about 6 beads in 1 inch. There are about 260 beads in a pack.